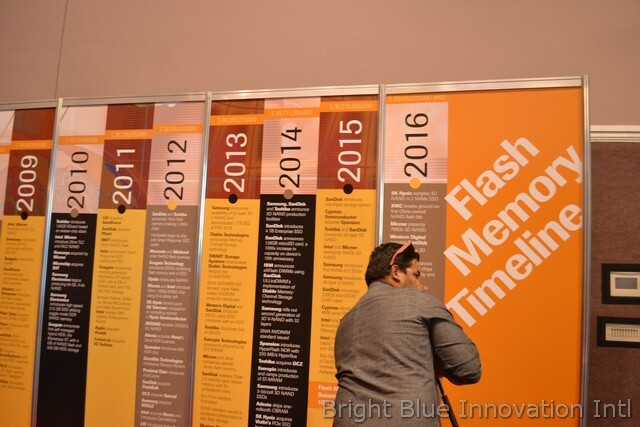 Flash Memory Summit, August 2016 – The process of consumerization of flash memory started around 2004. This year NAND prices drop below DRAM prices for the first time at the same density. Panasonic and Sanyo launched the first flash-based camcorders. SanDisk inaugurated Flash Sansa MP3 players. In 2005 NAND revenue exceeded $10 billion when Apple introduced its first iProducts. Below is the timeline of consumerization of flash memory. 2005 – Apple introduced its first two flash-based iPods, the iPod shuffle and the iPod nano. Microsoft launched Hybrid Hard Disk Drive concept. MMCmicro card was introduced by MMCA. 70nm process was initiated. Micron introduced NAND product. Over 3 billion flash chips were shipped. NAND GB shipments overtook those of DRAM. 2006 – Flash revenue exceed $20 billion. Intel introduced Robson Cache Memory, now known as Turbo Memory. Microsoft launched ReadyBoost. M-Systems announced 4-bit MLC technology. That was an important year for SanDisk. The company announced 4-bit NAND technology and the microSDHC card. SanDisk acquired two enterprises: Martix Semiconductor and M-Systems. Samsung and Seagate demonstrated first Hybrid Hard Disk Drives. IMFT was formed by Intel and Micron to manufacture NAND flash. Spansion introduced ORNAND flash. 56nm process was announced. 300 mm wafers started to be produced. 2007 – Flash revenue exceeded $22 billion (NAND $14.5B) Toshiba introduced eMMC NAND and first MLC SATA-based SSD. IMFT started shipping 50nm NAND flash. Apple launched the iPhone with 4GB or 8GB of flash. Fusion-io announced 640 GB ioDrive MLC NAND-based PCIe X4 board. BitMicro launched 3.5”SSD with capacity of 1.6TB for military applications. Spansion acquired Saifun. Several laptop MLC SSDs were introduced with up to 128 GB of flash. Dell launched SSD option for laptop models. Sub-$200 netbook computers were introduced with flash memory storage. Microsoft initiated flash-based Zune Player. Seagate launched the Hybrid Storage Alliance and the first hybrid HDD, the Momentus PSD. 2008 – SanDisk introduced ABL to enable high speed MLC, TLC and X4 NAND. 34nm process announced by Intel and Micron. Toshiba initiated first 512GB MLC SATA-based SSD. Intel and STMicro spanned off Numonyx. IBM demonstrated first “Million IOPS” flash array. EMC announced use of flash-based SSDs for enterprise SAN applications. Apple introduced two generations of MacBook Air, with 64GB and 128GB SSDs and no HDD option. Micron, Samsung and Sun Microsystems announced high-endurance flash memory. Violin introduced first fully flash-based storage appliance. Samsung announced 150GB 2.5”MLC SSD with SATA II Interface. 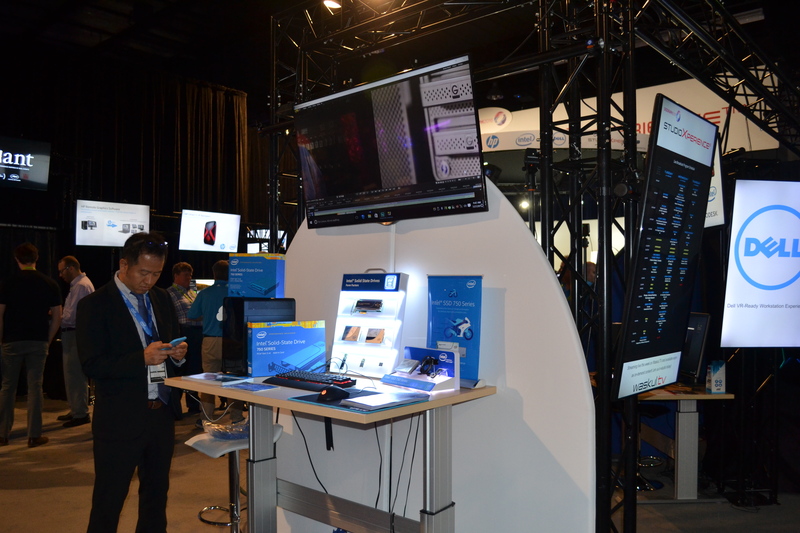 Several companies demonstrated MLC flash SSDs with up to 256GB for notebook apps. Micron introduced first serial NAND flash. Toshiba developed 3D NAND structure, BICS. Apple sold 1M iPhone 3Gs in 3 days, with 8GB or 16GB of flash. 2009 – Intel, Micron introduced 34nm TLC NAND. Samsung introduced the first full HD camcorder with a 64GB SSD. Seagate entered SSD market. SandForce introduced first compression-based SSD controller. Virident and Schooner launched first flash-based application appliances for the data center. Pillar Data converted Axiom SANs to SSD. Plaint introduced first SAS SSD. SanDisk shipped 4-bit/cell SDHC and Memory Stick Pro cards. Western Digital acquired SiliconSystems and got into SSD business. NVELO introduced first PC flash caching software “Dataplex’. SanDisk introduced 100-year flash storage vault. The revenue reached 19 billion. 2010 – Toshiba introduced 128GB SDcard based on sixteen-chip stack. Intel, Micron introduced 25nm TLC and MLC NAND. Numonyx was acquired Micron, SST by Microchip. Samsung started producing 64 Gb, 3-bit NAND and introduced high-speed 512 GB SSD utilizing toggle-mode DDR NAND memory. Seagate announced first self-managed hybrid HDD, the Momentus XT with 4GB of NAND flash and 500GB HDD storage. The revenue reached $26 billion. 2011 – Year of many acquisitions: LSI acquired SandForce; SanDisk acquired IMFT, Apple acquired Anobit, Fusion-io acquired IO Turbine. Intel announced Smart Response SSD caching for PCs. Seagate introduced II generation Momentus XT hybrid HDD with 8GB of NAND flash and 750GB HDD storage. Richard Pashley, Stefan Lai, Bruce McCormick and Niles Kynett from Intel received FMS Lifetime Achievement Award. 2012 – Ultrabooks begin to ship with Smart Response SSD cache. SanDisk and Toshiba announced 19nm flash memory enabling 128Gb chips. Macronix and Winbond entered NAND flash business. Seagate introduced SSHD combining flash memory with a HDD. Elpida introduced ReRAM. Micron and Intel launched 20nm 128Gb NAND chip using hi-k planar cell. SK Hynix formed upon SK Telecom’s acquisition of controlling interest in Hynix Semicondactor. MOSAID sampled 333GB/s HL-NAND. Adesto acquired Atmel’s Serial NOR business. Spansion introduced 8Gb NOR chip. DensBits Technologies introduced Memory Modem. Proximal Data introduced AutoCache. SanDisk acquired FlashSoft. OCZ acquired Sanrad. Samsung acquired NVELO. Intel acquired Nevex and introduced CacheWorks. LSI introduced Nytro flash with MegaRAID CacheCade caching software. Micron introduced 2.5-inch PCIe enterprise SSD. SanDisk co-founder, Eli Harari, received FMS Lifetime Achievement Award. 2013 – Samsung announced availability of 24-layer 3D V-NAND and demonstrated 1TB SSD at FMS 2013. Diablo Technologies announced Memory Channel Storage technology. SMART Storage Systems incorporated Diablo Technologies designs into ULtraDIMM. Western Digital and SanDisk introduced SSHD using iSSSD combined with an HDD. Toshiba introduced line of SSHDs. Everspin Technologies announced shipments of STT MRAM. Micron and other companies sampled 16nm flash memory. SanDisk released CFast 2.0 memory card, fastest memory card for professional video. M.2 PCIe interface formalized NVMe standard issued to accelerate communications with flash storage. Western Digital acquired sTec, Virident and Velobit. SanDisk acquired SMART Storage Systems. NVMdurance introduced software to extend flash endurance. Micron acquired Elpida. Intel introduced Intel Cache Acceleration Software. Fujio Masuoka, formerly of Toshiba, received FMS Lifetime Achievement Award. The revenue reached $30 billion. 2014 – Samsung, SanDisk and Toshiba announced 3D NAND production facilities. SanDisk introduced 4TB Enterprise SSD. SanDisk announced 128GB microSD card, a 1000x increase in capacity on device’s 10th anniversary. IBM announced eXFlash DIMMs using SanDisk ULLtraDIMM’s implementation of Diablo Memory Channel Storage technology. Samsung rolled out II generation of 3D V-NAND with 32 layers. Spansion introduced HyperFlash NOR with 333 MB/s HyperBus. Toshiba acquired OCZ. Everspin introduced and ramped production of ST-MRAM. Samsung introduced 3-bit/cell 3D NAND SSDs. Adesto shipped one-millionth CBRAM. SK Hynix acquired Violin’s PCIe SSD business. Seagate acquired LSI/Avago storage business. SanDisk acquired Fusion-io. HGST acquired Skyera. Samsung acquired Proximal Data. Simon Sze, formerly of Bell Labs, received FMS Lifetime Achievement Award. 2015 – SanDisk introduced InfinitiFlash storage system. 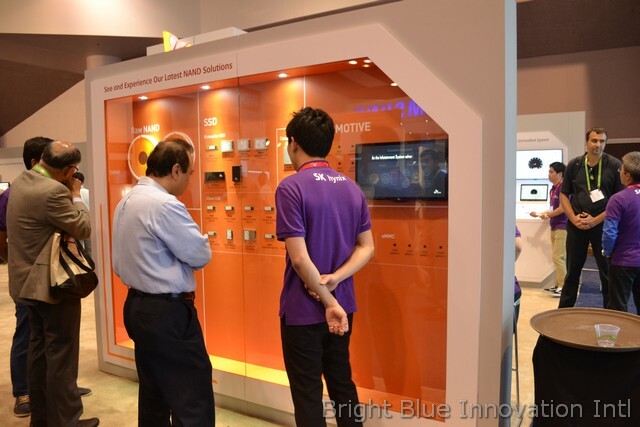 Cypress Semiconductor acquired Spansion. Toshiba and SanDisk announced 48-layer 3D NAND. Intel and Micron announced 384Gb 3D NAND. Samsung introduced first NVMe m.2 SSDs and 4 B layer V-NAND. SanDisk introduced 200GB microSDXC UHS-I-card. Cypress introduced 4MB serial FRAM. Intel and Micron announced 3D XPoint Memory. Intel introduced XPoint-based “Optane” DIMMs and SSDs. Bob Norman, formerly of SanDisk and Micron received FMS Lifetime Achievement Award. The revenue reached $35 billion. 2016 – SK Hynix sampled 3D NAND m.2 NVMe SSD. XMC broke ground on first China-owned NAND flash fab. Micron presented 768Gb 3D NAND. Western Digital acquired SanDisk. Micron shipped 3D NAND. Everspin announced 256Mb MRAM chips and 1 Gb chips by the end of year. IBM adopted TLC to PCM. Samsung shipped 48-layer 3D NAND. Kinam Kim, President System LSI/Semiconductor Business, Samsung received FMS Lifetime Achievement Award. The revenue for 2016 is estimated to reach $37 billion.